In a fit of organizing passion, I recently cleared out 7+ magazine files of Cooks Illustrated magazines dating back to 2007-8, paring down my top picks, mostly the yearly Best of and Seasonal Entertaining, and pulling out the 1-3 recipes from each issue that I might actually make. 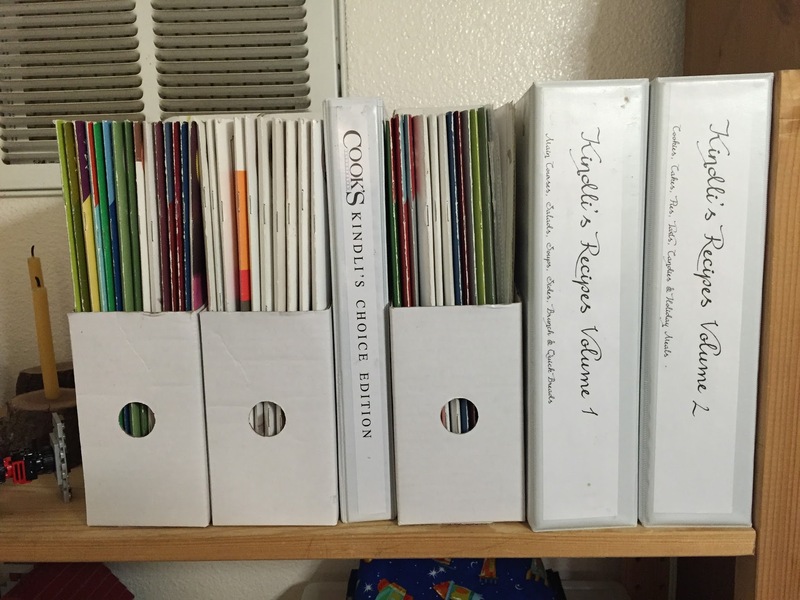 The pull-outs have been slightly trimmed for size, placed in page protectors and are now in a binder labeled Cook’s Illustrated – Kindli’s Choice Edition, I still have a stack of magazines to sort, so that binder may grow, but I feel it is a good start. 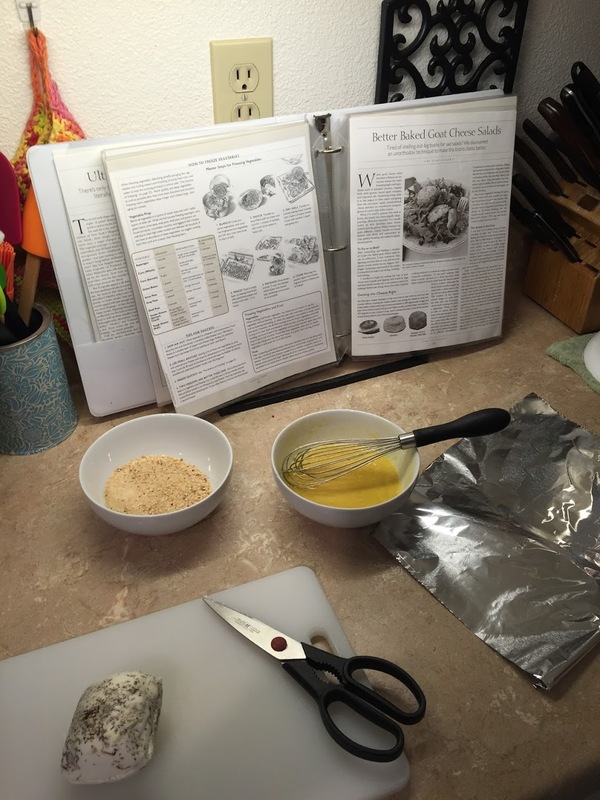 One of my goals this year is to branch out with my cooking, and I plan to start by working my way through the Kindli’s Choice Edition binder. My other thought was to subscribe to Cooks Illustrated online, but as I’ve already purchased nearly 10 years of back issues, special editions, etc. I figured I should take advantage of the resources before me. 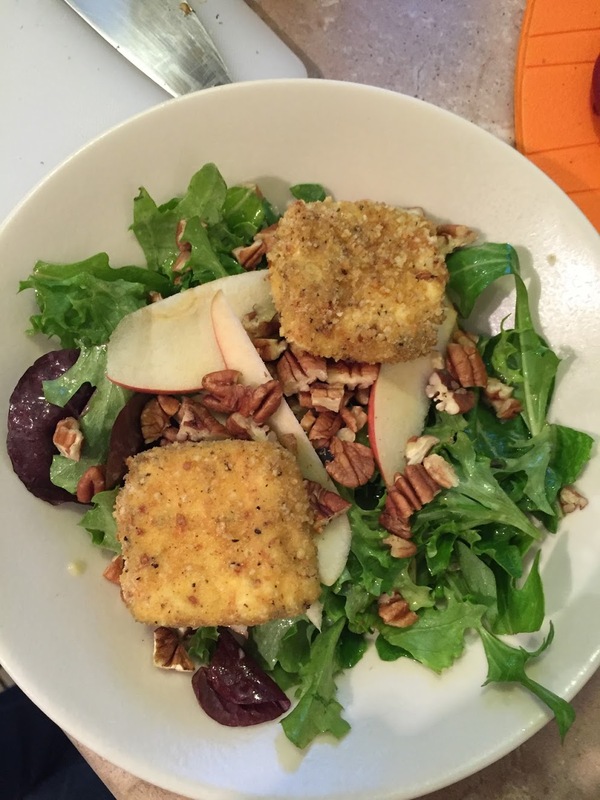 First up: Better Baked Goat Cheese Salads from Modern Classics 2012. I mostly followed the recipe, and some what winged it. I not-quite-halved the recipe, using what I had on hand: 5 oz. of already-herbed goat cheese, not a 12 oz. log. I was going to use crasins (instead of cherries), and then realized the little one had eaten them all. I used the apples I had on the counter, not granny smith. I used pecans instead of walnuts. I was going to do this in the toaster oven, but it does not get to 475*F (it only gets to 450) and I didn’t realize that until I was about to put them in, so then I had to heat up the big oven — this was not a problem, it is dreary and in the 40s out! The end results were yummy, and I plan to make this again, next time with crasins. With a little tweaking, it could easily rival similar salads at local eateries. looks absolutely scrumptious! love your well organized recipe shelf.